At Wiki Ed, we always suggest students help fill gaps in Wikipedia’s coverage. But finding these gaps can be tricky. “The Trapper’s Bride” by Alfred Jacob Miller. Licensed under Public Domain via Wikimedia Commons. Christopher Dummitt’s students at Trent University dramatically improved several articles on the history of Western Canada. They added content, but also integrated and improved articles that were already there. Working in groups, the class tackled a mix of biographies, social practices, and treaties. Few students edited only one article or draft. The course illustrates how much a single term of work can improve a topic. That work will benefit readers and editors, but also students adding to this topic in the future. Consider the article on Thomas Scott. His execution was a watershed moment in the Red River Rebellion, but his article had only brief citations to a webpage. The article now relies on several different books, journal articles, and encyclopedias. Marriage ‘à la façon du pays’, a common law marriage practice important to the fur trade in Canada, did not have a Wikipedia article last year. Now, readers will find a history of the practice, and a summary of the debate about the function and material incentives behind the practice. 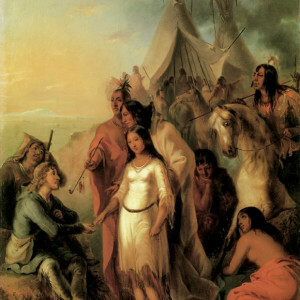 Students expanded the article on the Numbered Treaties, which were negotiated between the aboriginal peoples of Canada and the Canadian government. Other students took on a biography of Crowfoot, practically a stub at the start of the year. Crowfoot, along with Big Bear (whose article the students also improved!) were instrumental in negotiating two of the Numbered Treaties. By pooling resources, every student’s research could benefit their articles and those of their classmates. Wikipedia’s coverage of Western Canadian history has certainly been improved.